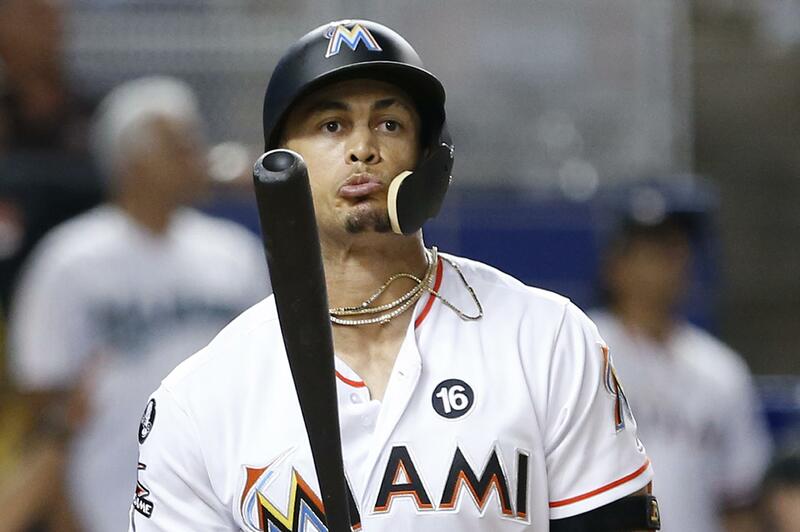 UPDATED: Wed., Dec. 6, 2017, 2:06 p.m.
SAN FRANCISCO – Giants general manager Bobby Evans confirmed on San Francisco’s flagship radio station KNBR that the club has reached the parameters of a potential trade for Miami slugger Giancarlo Stanton. Evans said Giants executives gathered with the NL MVP and his representatives in “a good meeting” last week. Marlins CEO Derek Jeter said Tuesday that Miami has not decided whether to trade Stanton, still owed $295 million over the final decade of his record $325 million, 13-year contract. When asked specifically about absorbing the majority of that contract, Evans didn’t address it. “He has a contract already in front of him,” Evans said. “He’s got a home there, clearly has some ties to LA, so really it’s his call as to ultimately what he wants to do. We were very impressed with him. He’s obviously passionate about winning, he’s passionate about the game and really presented himself extremely well. He had a lot of questions for us and I thought our meeting went well. Evans said Stanton was thoughtful in the meeting about not comparing the Giants to other teams in pursuit – believed to be the Cardinals and perhaps the Dodgers. “His focus right now is trying to weigh all the different opportunities,” said Evans, who also addressed his team’s interest in Japanese pitcher and outfielder Shohei Ohtani. He called the pitcher and left-handed hitter an “impressive young man” who will be a two-way player. The Giants are among seven teams Ohtani is considering signing with. “He’s taking this in a very thoughtful way, this process,” Evans said. San Francisco is looking to bounce back from a surprising season that ended with a last-place finish the NL West at 64-98. Published: Dec. 6, 2017, 1:40 p.m. Updated: Dec. 6, 2017, 2:06 p.m.